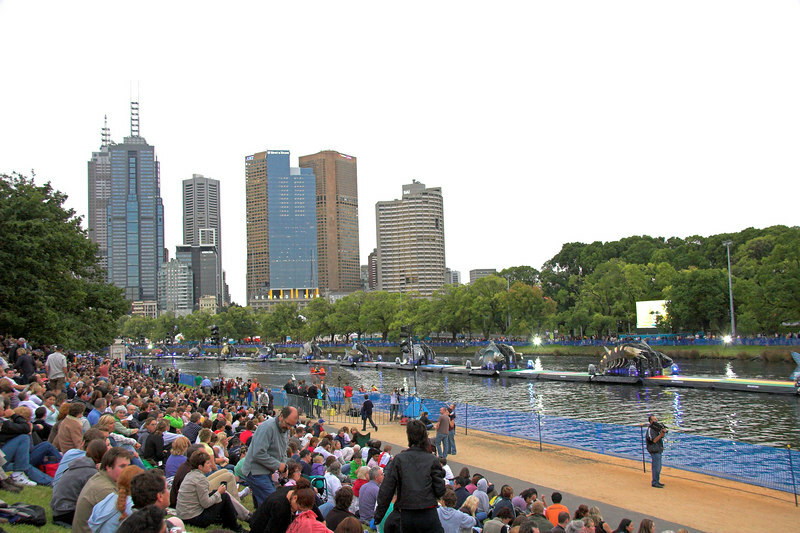 This gallery contains photographs taken during the opening and closing ceremonies for the Melbourne Commonwealth Games in March 2006, and photographs taken around Melbourne at the time of the Games. I took a position down the Yarra River that looked back towards the city. At this stage it was still light.